Voila!!! sms through Gmail.........? yes!!!!! Gmail starts a Free SMS service. Now with gmail we can send free SMS to mobile phones. Gmail allows you to send 50 free SMS per day and the good news is this facility supports all operators. 2:- mobile number of your friend or chat buddy's number. 3:- litle bit knowledge of using gmail. 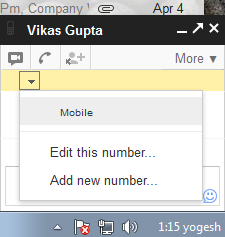 Step 1:- Login to your gmail account. 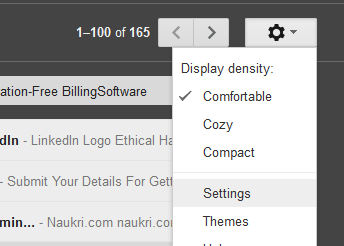 Step 2 :- Go to setting tab. Step 3 :- click on Lab tab. 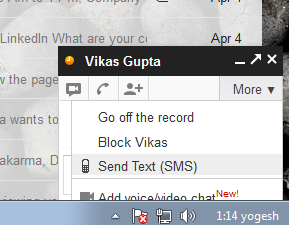 Step 4 :- find the "SMS (text messaging) in Chat" and check mark in enable. Step 6 :- expand left corner down arrow and click on mobile. Step 7 :- add your friend's mobile number and save it. now write the message in chat box oops !! now its msg box so type msg and send button or enter..